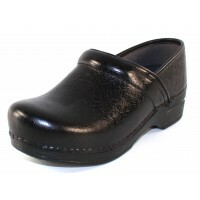 A closed back, closed toe clog that sets the standard for quality and comfort. This classic style features construction elements that make Dansko famous: the high toe box for ample room, the anatomically contoured footbed for support, the slightly raised heel for improved posture and circulation, and the patented rocker bottom for enhanced movement. Water resistant uppers follow the natural contours of the foot. 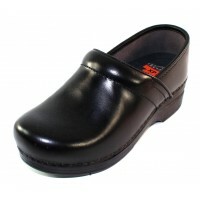 It is a great choice for energetic professionals, chefs, and anyone who spends long hours on their feet. 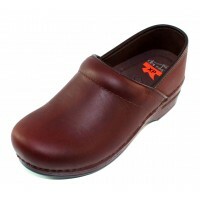 The XP collection provides the same down curve and rocker movement of the classic Dansko stapled clog in a lighter weight construction. 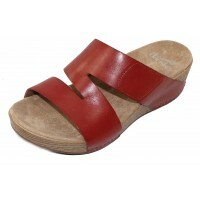 Removable triple density footbed of EVA and memory foam delivers a cushioned feel with superior energy return. The Non-slip rubber outsole with raised tread pattern provides sure footing for both casual or occupational use. Fit tip: Heel should move up and down freely. Fit may be snug when stepping in. Toes should wiggle freely.